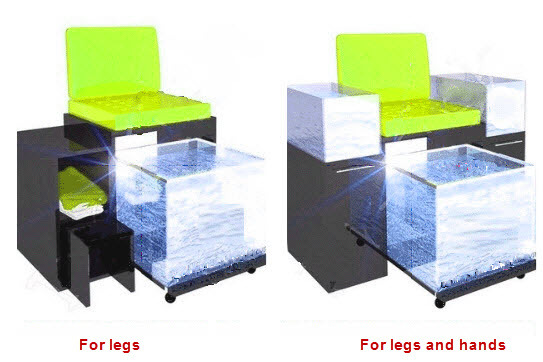 DrFish Ltd. offers Fish Spa Units for Fish-Spa «Hands, Feet, Hands / Feet with the installation and after care. 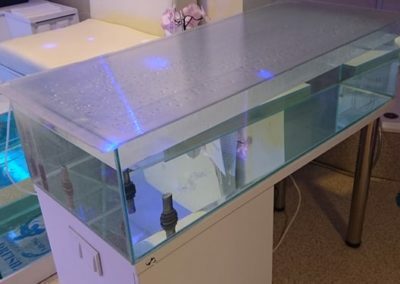 Aquarium: What to choose glass or acrylic? Acrylic – PLEXIGLAS ®. Transparent plastic. It is easy to change Acrylic form. 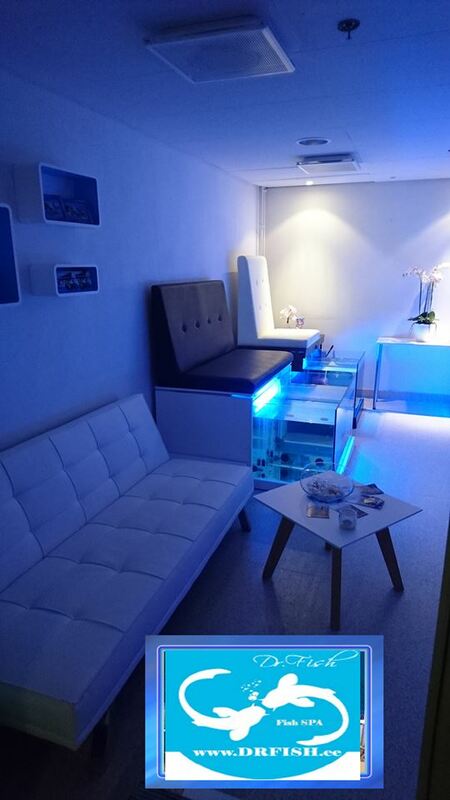 With the help of our experts, you can make a new design in your cabin. 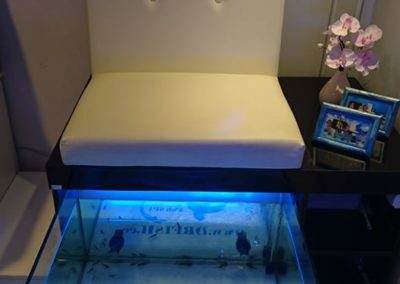 Acrylic is the high cost and in some time loss of the appearance of the aquarium may accrue. With the constant cleaning of the walls, acrylic may become opaque color. 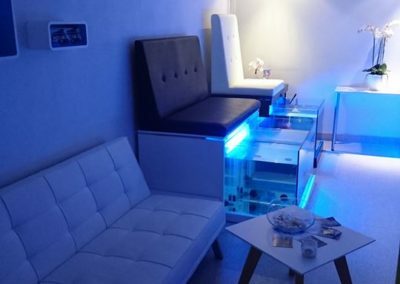 Glass – Glass Aquarium will give your salon a guarantee of quality. 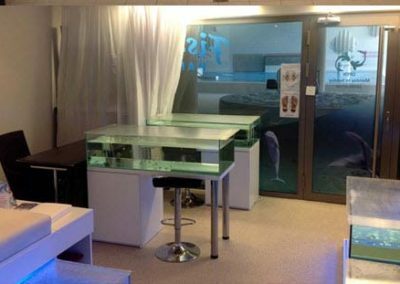 Glass remains transparent throughout the entire period of operation of the aquarium. Glass can be easy replaced. Protective foil wrapping foil will help to avoid accidental damage. 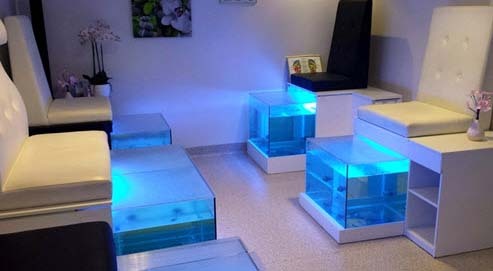 The Dr Fish Ltd. offers rent of Fish Spa units. Minimum rental period is 6 months. 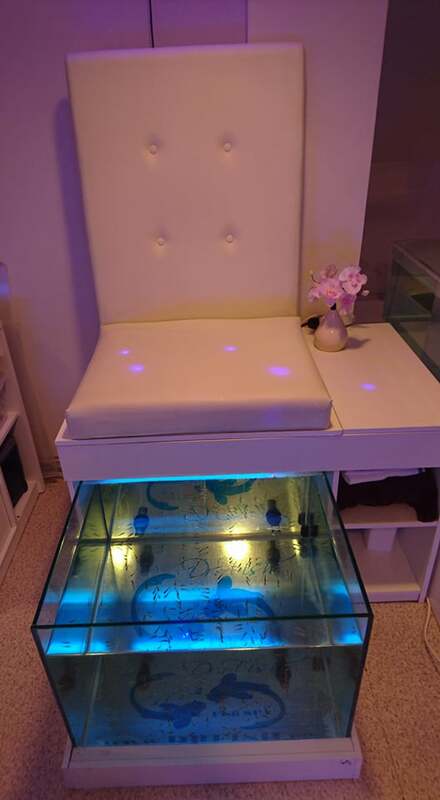 What is included in to Fish SPA unit ? * Food for fish, conditioners and testing of water included in price. 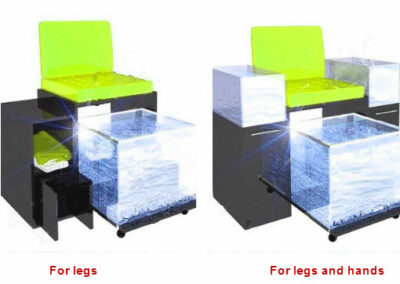 Fish is delivered in a special thermo box that will protect it from cooling. The packages are added a mixture of oxygen and medical air which fishes will last for 2 days. 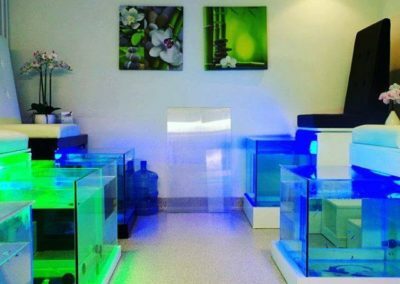 Delivery of Garra Rufa fish and equipment available in to Finland, Sweden, Denmark, Lithuania, Latvia, Western part of Russian Federation and Estonia. Garra Rufa Fish, which sold by «DrFish Ltd» is grown in conditions close to natural habitat. 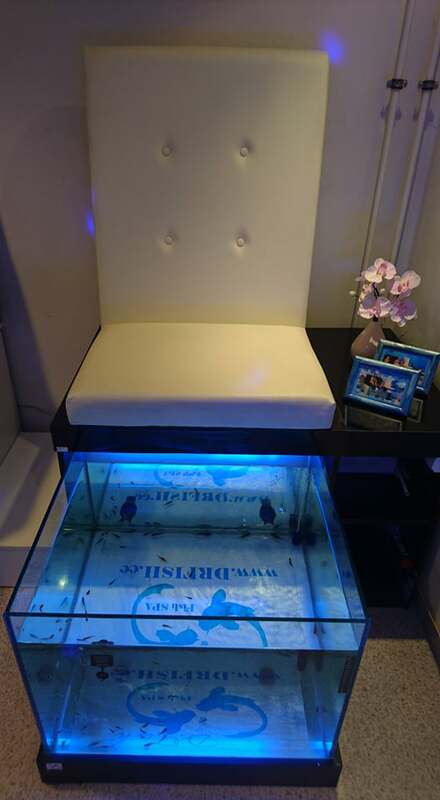 For all fishes is a mandatory pre-adaptation to new conditions, where we use special biological conditioners to make them adaptation more easy and shock free. 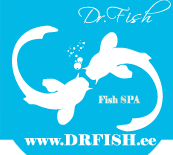 In all the supplied by «DrFish OÜ» must have an official veterinary certificate, which makes it ready to use in Fish SPA procedures. Delivery within Tallinn is Free of charge! 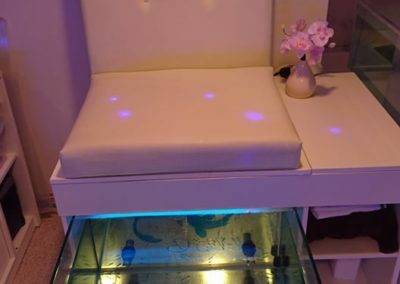 The company provides warranty for the fish. 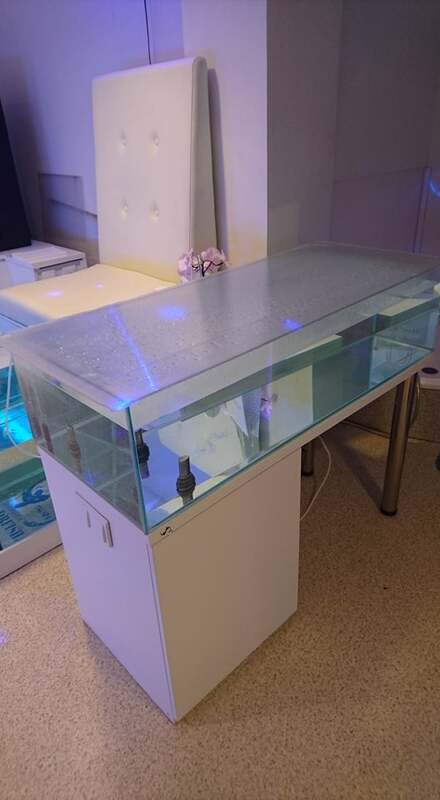 In the event of death of fish in the customer’s aquarium, fish will be replaced in the case if all necessary guideline which was provided by DrFish Ltd. have been done by buyer. 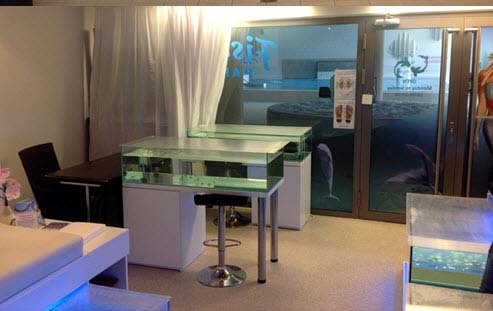 – Usage of equipmen which not approved by DrFish Ltd.
– Addition of any other fishes to same aquarium. 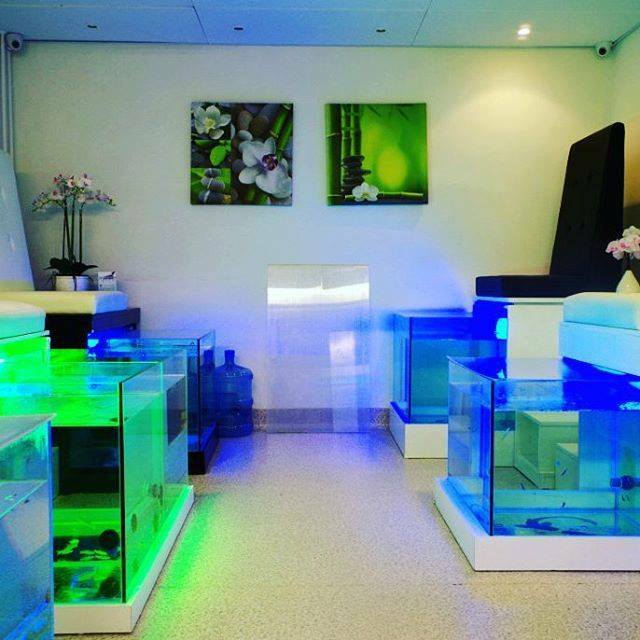 The average life time expectancy of the fish with proper care is 4 years.